LinkedIn is THE place to be online if you are in business. Because that is where everyone you want to do business with is hanging out, too. Millions of business professionals the world over have taken to this social media platform to showcase their talent, share their knowledge and generate leads for their business. No longer is it used just for somewhere online to put your CV. Or to visit only when someone asks to connect with you. Now, LinkedIn is a vibrant community of experts in every conceivable field. All keen and willing to share their knowledge, learn from others and engage in robust discussion. Most of all, people are here to do business. With each other and with you. If you want to know more about how to use LinkedIn more effectively in your own business, we have some resources you will find useful. First – how to create a great personal profile. Without an attention-grabbing profile you won’t stand out from the crowd. 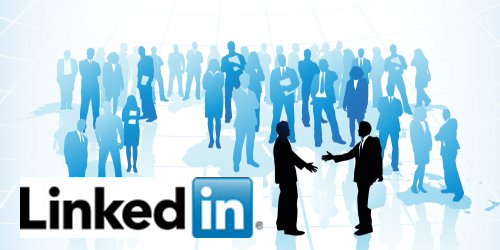 Second – how to use LinkedIn like a pro. The 3 reasons why you need to be taking it seriously. Third – how best to engage with people once you’re connected – without annoying them. Fourth – how to take your LinkedIn activity to a whole new level and use the platform to generate business. And finally, tips and new features which you can download here. If you want to receive regular updates, you can sign up by emailing me here and typing “tips” in the subject line. LinkedIn is a great vehicle to move your business forward. It takes time and effort but it is built on relationships. Given that we do business with those we know and trust, building those relationships is important. And, if you’re not connected with me please do send me – Lynnaire Johnston – an invite. Personalised, of course!